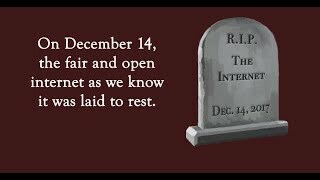 Title II is not net neutrality. This post is doing something that well-trained advocates know is often inadvisable: highlighting your opponents' arguments in order to rebut them. This exercise can give those arguments more visibility and credence than they merit. However, in this case the arguments are so widespread it's worth addressing them head-on. So, again: Title II is not net neutrality. Not only that, but net neutrality is not "utility" regulation. This is a point Public Knowledge has made again and again: While Title II of the Communications Act provides the firmest legal grounding for net neutrality rules, Title II and net neutrality are not one and the same. While Title II contains broad prohibitions on unjust and unreasonable conduct by telecommunications providers, the FCC has to determine exactly what that means as applied to a given service, such as broadband. Practices that were allowed for other telecommunications services, like telephony, might be unreasonable for broadband--and vice versa. While PK has argued that the FCC should use its Title II authority to enact net neutrality rules for broadband, we have never said the Title II is useful only for net neutrality. Title II will also help the FCC refocus its universal service program on broadband more directly, protect subscriber privacy, and ensure public safety and network reliability, among other things. Thus one of the troubling things about the recent net neutrality bill sponsored by Senator Thune is not just that it falls short as a net neutrality bill--it also takes away the FCC's authority to use Title II for other aspects of broadband. Net neutrality is not the same as universal service or public safety. We are not "moving the goalposts" and expanding the definition of net neutrality by pointing out that a bill that ostensibly protects net neutrality could have negative consequences for broadband in areas other than net neutrality. 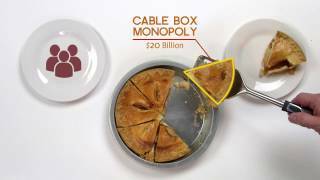 While we agree that certain provisions of Title II should be forborne from (or put in abeyance) by the FCC with respect to broadband since they either have no applicability or are not needed for the broadband market today, the FCC should not voluntarily give up the authority it needs to protect broadband consumers in areas beyond net neutrality. Despite what net neutrality opponents may claim, the consumer protections offered by straightforward common carriage rules fall well short of utility regulation. By their logic, consumer product safety, agricultural inspections, and financial sector oversight turn most of the economy into a regulated public utility. Who knew? Just because two different things are both “rules,” doesn’t mean they’re the same. And just because net neutrality supporters are finally about to put some numbers on the board, doesn’t mean the goalposts have moved.